Intense study of a complex construct. The Gender Studies minor provides students with the opportunity to learn about the impacts of and variation in gender through a multidisciplinary encounter. Although this minor builds on the university’s special history of empowering women, this is not a women’s studies minor; this minor offers an engendered program of learning and promotes a socially responsible and aware approach to all gendered social interaction through academics and service learning. Though an appreciation of gender differences, roles and historic interactions in a variety of contexts, students enhance their ability to function in the workplace and at home.The Gender Studies minor provides students with the opportunity to learn about the impacts of and variation in gender through a multidisciplinary encounter. Although this minor builds on the university’s special history of empowering women, this is not a women’s studies minor; this minor offers an engendered program of learning and promotes a socially responsible and aware approach to all gendered social interaction through academics and service learning. Though an appreciation of gender differences, roles and historic interactions in a variety of contexts, students enhance their ability to function in the workplace and at home. The field of gender studies continues to gain popularity across university campuses because those with a better understanding of the complexities of gender are well-rounded citizens and more marketable. Put into practice research skills in an applied manner with the chance to conduct original research and attend regional and national conferences. Individuals with such a minor find employment in a variety of occupations within governmental and non-governmental organizations, the private sector and the helping professions. 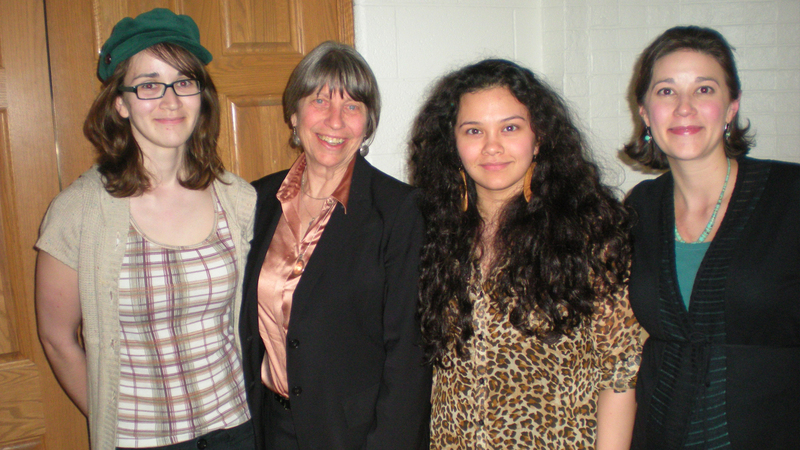 In the photo above, Dr. Ruth Jolie (far right) and two students meet with renowned gendered scholar Dr. Louise Lamphere (second in from left). Dr. Lamphere is most well known for her work on feminist anthropology and issues of gender equity. As a former president for the American Anthropological Association, anthropology’s largest professional association, she pushed for more feminist research to be conducted by anthropologists. Because of her influence, feminist anthropology is a lively and important part of anthropology today.